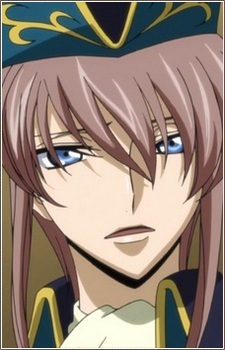 Kanon Maldini is a subordinate of Schneizel el Britannia, serving as a political and military adviser. While celebrating Tianzi's marriage to Prince Odysseus, he makes a joke to Milly Ashford about being Schneizel's assistant in both public and private matters, only to wave it off shortly thereafter. Kanon follows Suzaku to the Kururugi Temple in order to investigate and capture Zero; while there, he obtains conclusive evidence not only of the masked terrorist's identity, but also of the existence of Geass. This evidence proves essential in convincing the leaders of the Black Knights to betray Zero. When Schneizel decides to stage a coup d'état, Kanon notes that he's finally made the decision, but seems apprehensive about it.